Two weeks after staying at a hotel with complimentary wifi and breakfast at M.G.Road in Kochi, I learned that every motorized vehicle here is a prospective killer. In these super small lanes, the vehicles go super fast. I have a new phobia now of crossing roads beacuse you never know which vehicle decides to surprise you. Even the government buses; they do not run, they fly. 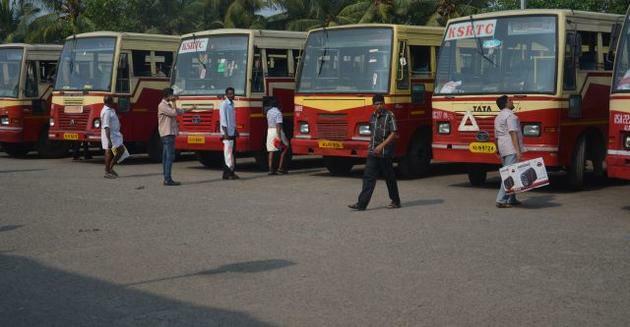 When I first saw a KSRTC bus, I noticed that there are only open windows; no glasses. Later when I boarded the bus to go to Allepey, I got to know that there are shutters inside the windows. There are no glass windows probably because of the heavy rains; the shutter type windows are easy to move up and down and need less maintenance. The big M.G.Road earlier known as the Seventy Feet road is reduced to half its size due to the Metro; "work in progress". But the size of the roads do not matter here — everyone likes to go zooooom.